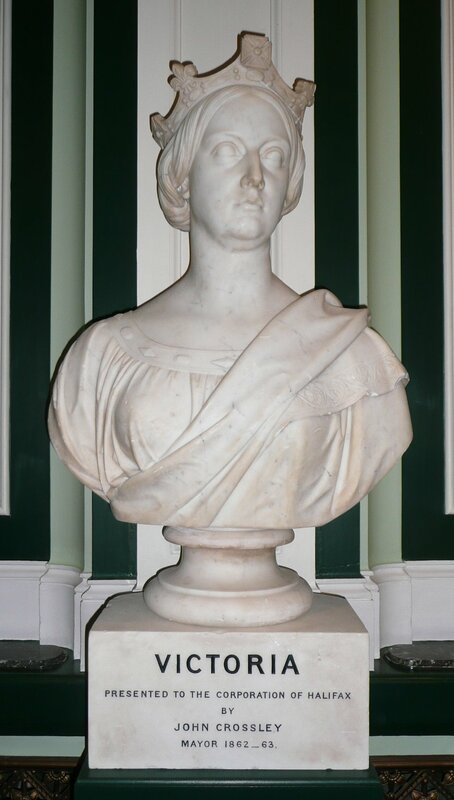 Four marble sculptures of Queen Victoria and her family that were stored for over 50 years are put back on display. of Halifax Town Hall when it was redecorated in 1954. 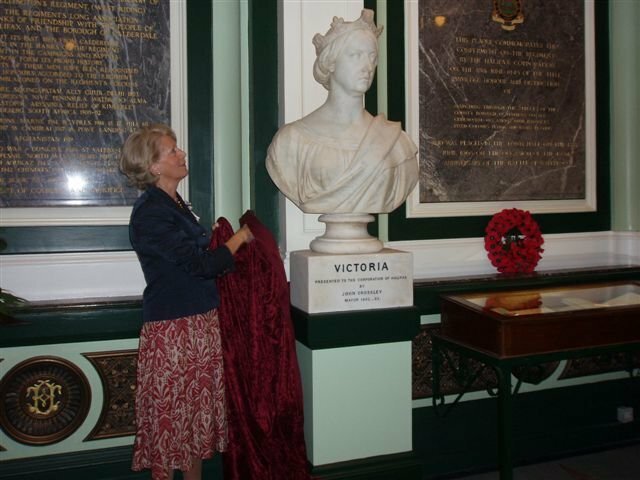 Now, after 50 years in storage, the busts have been caringly restored and returned to their rightful place, large as life in the Victoria Hall. 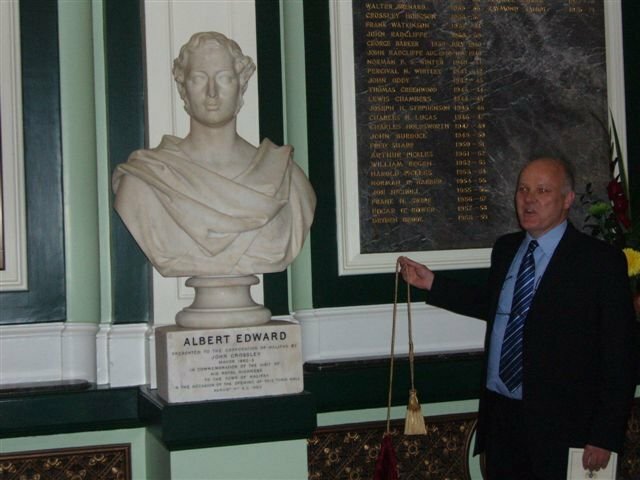 of the town hall by Albert Edward, Prince of Wales, who became Edward VII. 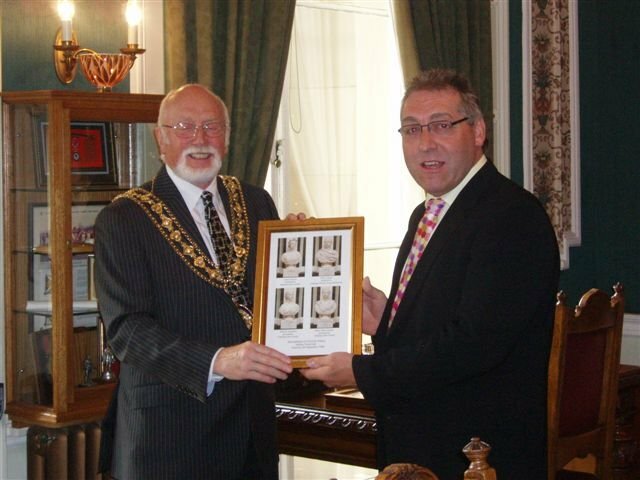 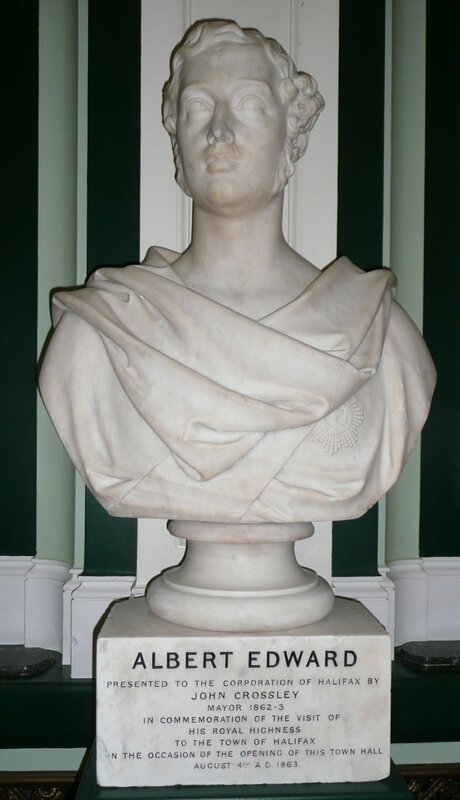 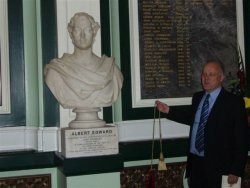 The following year Alderman William Holdsworth presented the bust of Prince Albert. 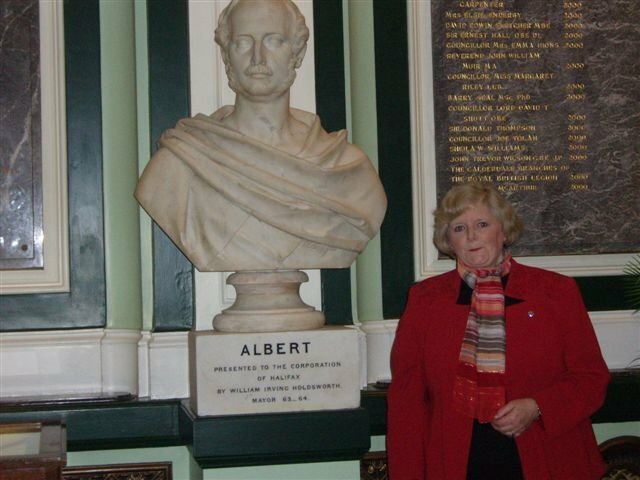 Direct descendants of the two mayors took part in the official unveiling on September 6.
member Miss Ingrid Holdsworth, who unveiled Prince Albert. 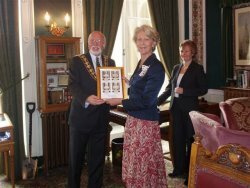 The Lord Lieutenant of West Yorkshire, Dr. Ingrid Roscoe, unveiled Queen Victoria and the Mayor of Calderdale, Conrad Winterburn, unveiled Princess Alexandra. "I am very proud I have been asked to take part in the event. 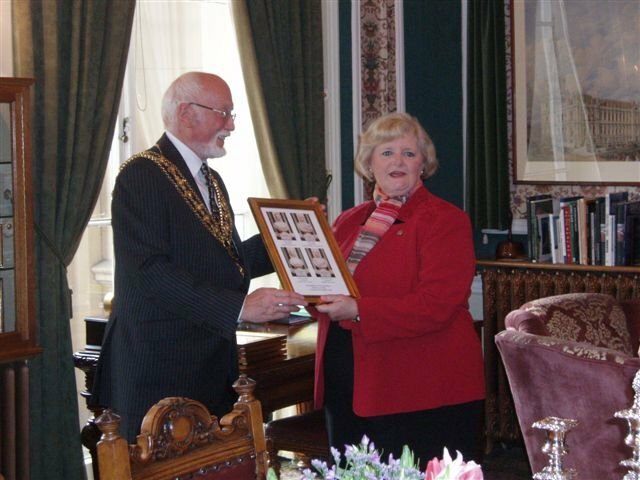 It is great to represent the family and its history." 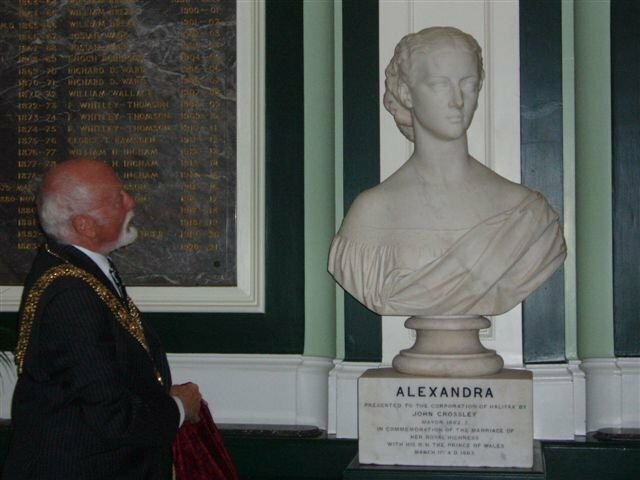 "I am humbled to have unveiled one of these marvellous busts and proud to be the relative of a mayor who did so much good for the town." "When you look back and see what they did, it can make one question your own achievements, but really it just makes you happy." 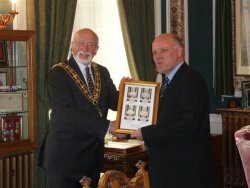 "It is a great honour and privilege to be invited to do such a thing, and really gives one a sense of history. 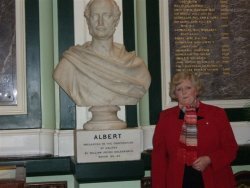 The family is still very much based in Halifax and this is a very proud moment"
The statues, created by eminent sculptor Marshall Wood, and which had become badly discoloured over the years were painstakingly restored by Andrew Barraclough of Southowram. 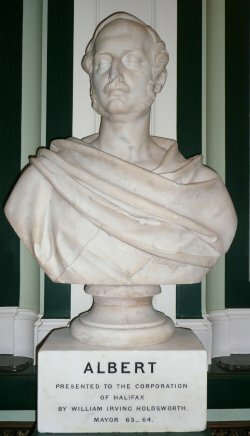 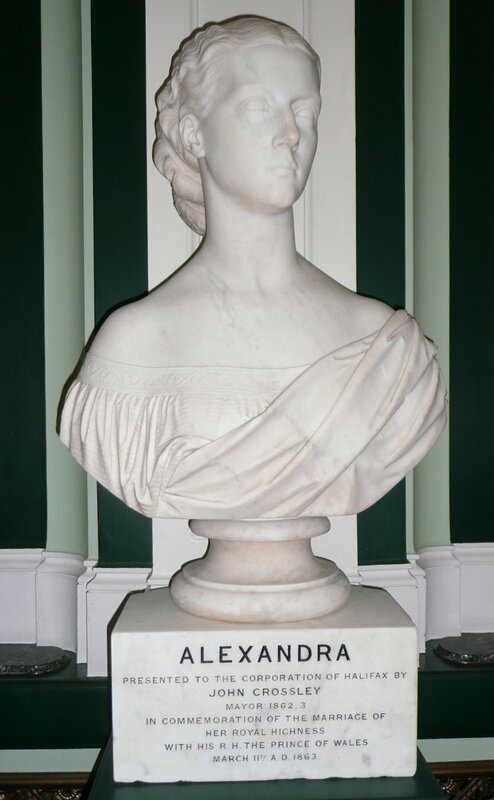 The busts are now on permanent display in the Victoria Hall of the Halifax Town Hall from September 13, 2008. 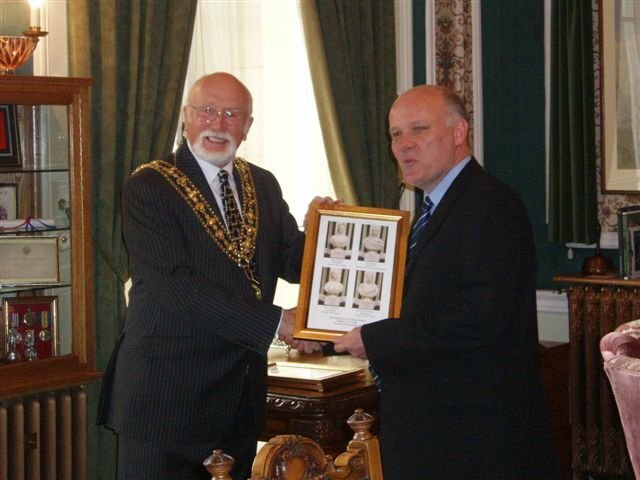 With acknowledgement for narrative contributions from Colin Drury and photographic material from Jim Fitton at The Halifax Evening Courier, 27 Aug, and 9 Sep 2008, and photographs and event brochure from Karen Burton at Calderdale MBC.